By now you probably already know that timeshares are a poor financial investment because they offer no return. Owning a timeshare is actually the exact opposite of an investment, it is an expense. A majority of timeshare owners were tricked into signing their contract by a fast talking salesman. This same salesman most likely told the timeshare owner that they could make money off their timeshare, that the timeshare would gain value, that it would be easy to sell, or that they could find easy timeshare relief. These statements could not be any further from the truth. Timeshares lose most of their value as soon as the purchase is made, much like a used car. Once timeshare owners realize that they made a poor purchase they immediately start searching for legitimate timeshare relief. Finding a timeshare relief consultant that you can trust can be a strenuous process. There are many companies that are simply looking to take your money and never provide any type of service. Luckily there are a few red flags to look out for before you decide to sign up with a timeshare relief company. The first red flag that you should look out for is if a timeshare relief company sends you an unsolicited letter claiming that they have a buyer for your timeshare. A company that cold calls you or sends you mail that you did not ask for, is simply hoping that a desperate timeshare owner will send them money in hopes of getting out of their timeshare. Unless you personally request timeshare assistance, be careful with who you trust with your timeshare. The next red flag that you should be looking out for is how long a timeshare relief company has been in business. Many relief companies will change their brand names once they have been exposed for being a scam. 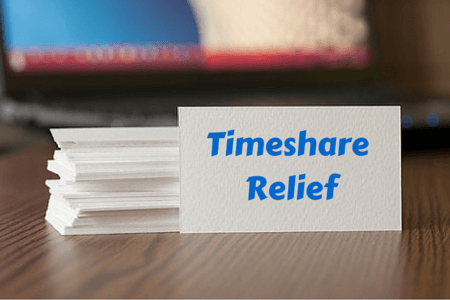 A legitimate timeshare relief company will have a long track record of having helped many people get out of their timeshare. This does not mean that all companies under one year of business are scams but it still a common trait of to look out for with a scam company. Last you should always do your research into a company’s history of timeshare relief complaints. Google is a useful tool for finding reviews from consumers that have already worked with a particular timeshare relief company. If you see that many people have had a negative experience or were unable to get out of their timeshare, this should serve as the biggest red flag. We provide tips like this to our clients because the last thing we want is for you to get scammed again. We have been in business for over five years without a single complaint. Redemption and Release is the legitimate timeshare relief company that you can trust. Contact us today to receive a FREE timeshare consultation with one of our relief experts.